For big screen Android phone like Huawei Ascend Mate and Samsung Galaxy S3 or others, it's good to touch to play games on them for its high resolution we can get better visual effect. 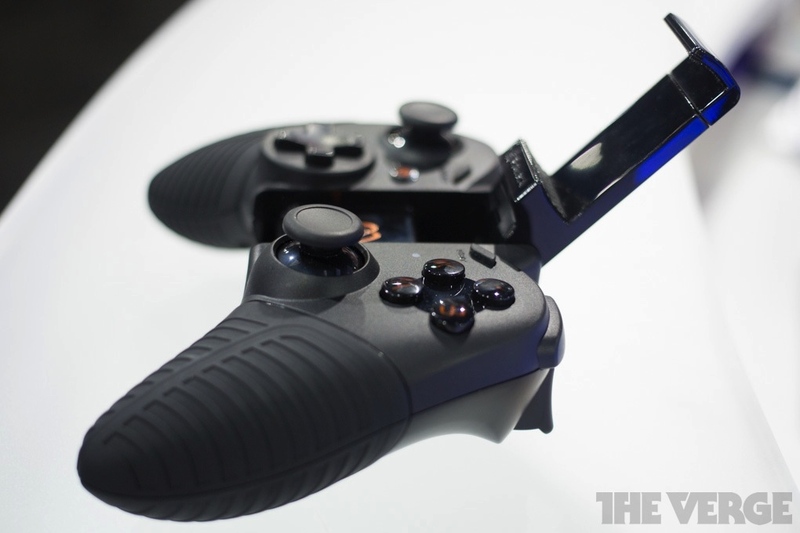 But with a gaming controllers,you can have a different cool experience. 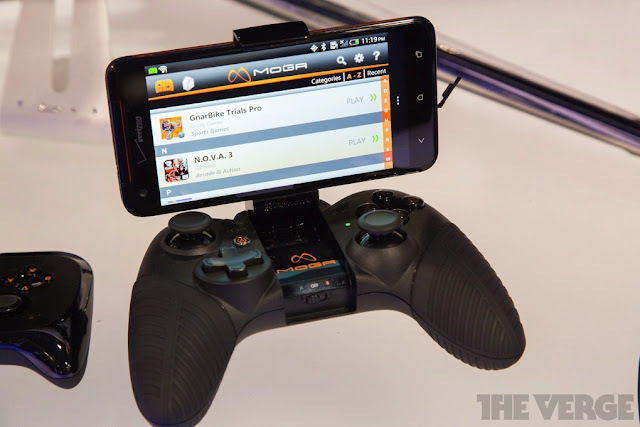 If you ever keep one eye on at this year's CES, you will find there are plenty of featured Android gaming controllers here. Among those, PowerA can be a better option to give us a fresh impression. 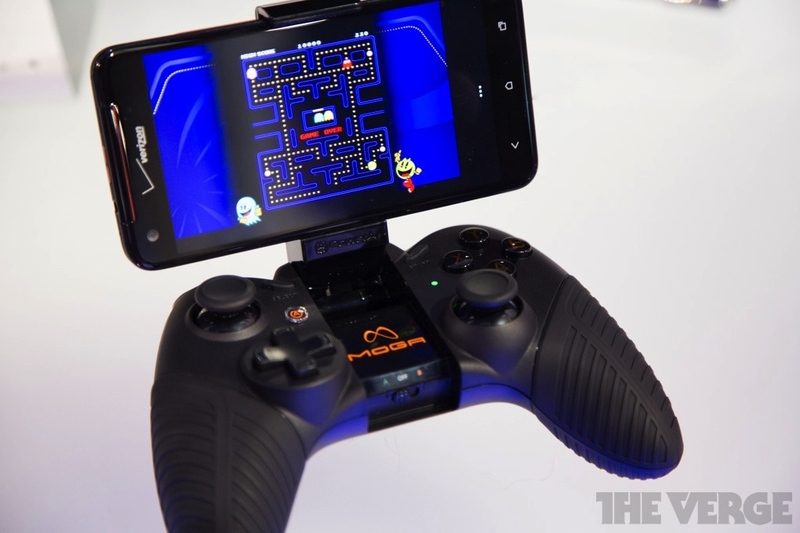 Power A once produced the Moga which enables users to forego touchscreen controls and use traditional dual-analog navigation and shoulder and action buttons. 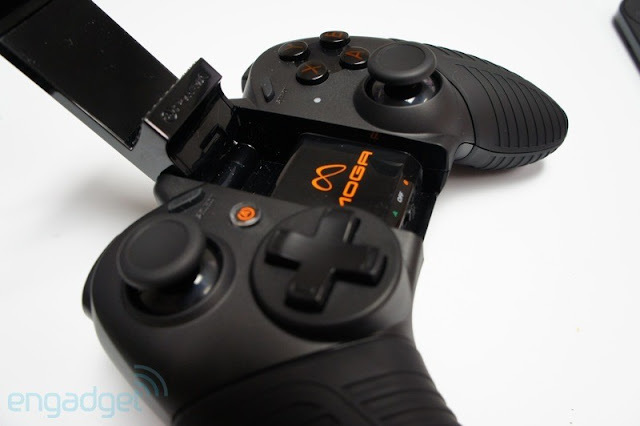 Moga Pro is improved on Moga by giving full-sized rubber grips, triggers, a d-pad, larger action buttons, and a internal battery which you can charge. the controller's built in phone holder extends all the way up to the (enormous) Note 2 which is 5.5 inch. It gets a switch for two separate modes: one is the standard Moga Pro mode, and another is "H.I.D." mode which obviously it's an emerging standard for Bluetooth controller. There is no need to click the touchscreen to play the game for you can sync with Android devices via Bluetooth by this controller. Moga Pro will be available at this Spring, but PowerA didn't tell the exact price and date. 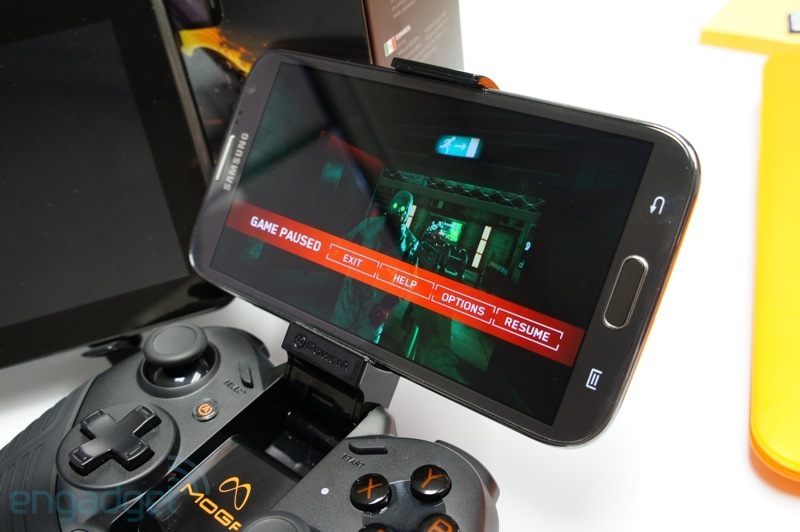 Or you can see how this video introduce PowerA's Moga Pro For Android Game Players.